Planned development for city A former South Yorkshire coalfield is to be transformed into a £100m business park, creating at least 2,000 jobs. The 84-acre Brookfields Park, has appointed brownfield regeneration specialist St Paul's Developments to lead the scheme. It is a key step in the regeneration of the Dearne Valley, where 10,000 jobs have been created in the past decade. Planned development for universities University of Sheffield Half of the University’s residential accommodation is to be privatised. The University had wanted to do this for a long time, but had encountered fierce reaction from the Students Union in the Past. 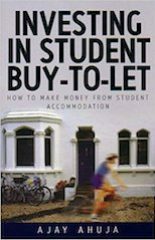 The news, which was released in Winter 2002, did cause some outrage amongst the Students Union.The university has decided that two halls of residence should be sold on the open market over a period of at least five years from 2003. Student representatives say this could result in a massive hike in rent for students. Sheffield Hallam University A £50 million pound investment has recently been made in new learning facilities including the prize-winning and renowned Adsetts Learning Centre. The Centre is open 24 hours per day and combines library, lecture theatres and other facilities including state of the art network facilities with more than 1600 workspace and IT resources and access to modern journals, books, videos, live TV, video conferencing and CD ROMs. Description: The Universities are woven into the fabric of the West of the city with a departments dotted here and there and the space in between filled with student housing, sports facilities and shops. Out of town there is the vast Meadowhall shopping centre.Sheffield is one of the Midlands' major cities and despite its decline during the late 70's and early 80's it has undergone some considerable redevelopment. Nightlife is quite good with some swanky new bars and cafés having sprung up. The sheer number of students in the city means that scholars form a major part of the population. Planned development for city More than £100 million is to be invested in the key commitments by Fife council from 2003 to 2006. The programme will target resources at seven key themes. These are: promoting stronger safer communities, safeguarding and improving Fifes environment, community regeneration and social inclusion, promoting a strong, diverse Fife economy, encouraging a well-educated and skilled Fife, promoting health and leisure and modernising Fife.£53 million will also be invested through the Public Private Partnership to build ten new primary schools across Fife, scheduled to open in time for the start of the new school year 2005. A five-year housing plan aimed at securing an adequate number of affordable houses in Fife has been launched. Proposals were unveiled against a backdrop of soaring house prices in the Fife region. Rocketing costs and the right to buy legislation have led to a significant increase in homelessness. The Housing Strategy aims to boost sheltered housing in the region. Planned development for universities University of St Andrews The Universities of St Andrews and Edinburgh are to collaborate on medical teaching and research, providing 50 more doctors per year for the NHS in Scotland and offering more opportunities for Scottish students to train as doctors.The University of St Andrews is to seek planning permission for a major new town centre building, which will provide much needed teaching and research space for the Faculty of Arts and a new home for the School of International Relations. The proposed multi-million pound building of architectural distinction will be located next to the University Library in North Street and will include a new lecture theatre, seminar rooms and office space.The University of St Andrews Court may hike up campus rents to come into line with those of other universities. This could be at an estimated average of 27% from September 2004. Description: St Andrews is located about an hour's travel away from Edinburgh and 20 minutes from Dundee. The University makes up much of the sea-side town and is its largest employer - hence the place takes on ghost-town status during the holidays. As for pubs, there are more per area than any other town in the UK. Planned development for city The Great British Kitchen plan is to create a centre for culinary arts, which will create 1,000 new jobs in Stafford on a 28 acre site at Stafford, in the Midlands. The £40m centre will provide a wide range of food-related activities for day visitors and staying guests: attractions, shopping and restaurants; leisure learning, education and training; shows, functions and special events.The announced plans by the government in summer 2004 to open a private toll motorway linking Birmingham to Manchester, could affect large areas of housing in Stafford and other nearby areas and has been highlighted by the city. Planned development for universities Staffordshire University A new commercial centre with a travel shop and general store at the Stoke site is the other big news. As part of an official visit to the University, new Chancellor Sir Bill Morris officially opened premier University’s business class learning and conference facilities at the Stoke campus. Description: Stafford is quite a countryside town and has plenty of good pubs and a good atmosphere. Stoke is a little more built up but the Leek Road site has more of a campus feel to it. At Stoke a number of the major chain pubs have moved in meaning that the union has some competition. Decent DJs and functions keep the students from wandering. Planned development for city Stirling was granted city status by the Queen to mark her Golden Jubilee in 2002. The new city beat off competition from Ayr, Paisley and Dumfries, in Scotland, to be one of the towns across the UK to be recognised.Scottish ministers have committed £30m towards the reopening of a rail link between Stirling and Kincardine. The investment will meet more than 80% of the £37.5m cost of the project. It is hoped that the Alloa line will be open by the end of 2005. Planned development for universities University of Stirling The MacRobert, the on campus cinema and theatre complex, has recently received a large Lottery grant resulting in an upgrade in facilities. Facilities constructed include a new 140-seat cinema, children’s theatre, and modern dining room and café area. Description: Stirling is situated in the centre of Scotland surrounded by snow-topped mountains with Stirling Castle overlooking the campus from its impressive location on the cliff. The numerous lochs nearby provide an arena for lazy days during the summer or water sports.Both the town and the campus have a small, friendly feel, and as a result many students never leave. It has been known for students to arrive once and depart once, while four years go by in the middle. If you do venture out into Stirling then there is an indoor shopping centre with all the essential shops (larger shops can be found in Glasgow and Edinburgh, a short train journey away). Many of the local pubs are ‘student friendly’. Planned development for city Sunderland Area Regeneration Company (Arc) plans to carry out a £135m development with a department store, restaurants, shops and apartments. Following a major land deal on Friday, Arc now controls 70% of the area in the city known as the Holmeside Triangle. The development could create up to 1,200 jobs on Wearside.The extension of the Metro line into Sunderland has unlocked property hot spots and allowed more scope for growth on Wearside. The housing market in Sunderland has been rising steadily for about three years but property experts say stock in the city centre is still undervalued. This means there is affordable housing for first-time buyers. Planned development for universities University of Sunderland A key part of the University's development programme is a major new purpose-built campus on the banks of the River Wear, and new Student Accommodation. A major project to refurbish the main block of Edinburgh Building is now fully underway. The £2.5m project, which has been substantially funded by the Higher Education Funding Council for England (Hefce) will provide upgraded teaching rooms and offices in the building.Edinburgh Building’s exterior and interior are being completely refurbished to give a modern, more welcoming appearance, and create a better teaching and working environment. During building work the Recruitment and Admissions team has moved to level one of Hutton Building and academic staff have moved to the east wing of Edinburgh Building.Work is due to start soon on a £7m Digital Media Centre at St Peter’s Campus – the first phase of a plan to create a centre of excellence for the arts, design and media. It will house studios, workshops, edit suites and facilities for TV/video, radio, journalism and multi-media. Description: The University of Sunderland is based within the heart of the modern centre of the City of Sunderland, in North East England. The University has a large mix of courses, covering engineering, technology, business, management, life sciences and the creative arts.Facilities are constantly being improved and updated and include a modern University Library, language laboratories, media centre, an Art Gallery and specialist research centres including the Industry Centre and the Ecology Centre.Sunderland is a much redeveloped town in the grip of more redevelopment. A spectacular amount of money has been and is being spent. The centre is heavily pedestranised and all the usual chainstores are present. A new metro link is now in place, which allows easy access to Newcastle. Planned development for city A new Casino is set to open in Swansea, with the potential of creating 500 new jobs according to the developers, Aspinalls. They will move in to the new £30m Salubrious Place leisure development in the Wind Street area of Swansea. Work on the 100,000 square feet complex is set to start in September with the aim of opening in 2006. Planned development for universities Swansea Institute of Higher Education Swansea University's School of Health Science and its neighbouring School at Swansea Institute of Higher Education are set to join forces this month. The merger will build on the strengths in health education of the two already successful departments, and will provide world-class courses that are structured according to students' needs. Description: Swansea is the second city of Wales and has all the resources you would expect. It is also in parts quite a pretty place with grey slate houses and plenty of greenery. There are some good pubs and clubs in the city and these attract people from all over.